I have studied the Bible my entire life, noting the stories that don't make much sense, as well as the stories that differ from each other on the same subject. When I was younger it made no difference. I just knew that the Bible was the Word of God. As I became more computer literate and more became available on various views of the Bible I was amazed at the objections found against the Bible. Then I read some of Bart Erhman's materials on the New Testament. In his book, "In Misquoting Jesus", Ehrman recounts becoming a born-again, fundamentalist Christian as a teenager. He studied ancient languages in order to understand the origins of the Bible. During his graduate studies he became convinced that there are contradictions and discrepancies in the biblical manuscripts that could not be harmonized or reconciled. Eventually, he became an agnostic after being a liberal Christian for 15 years. He could not reconcile the evil and suffering in the world. It was hard to read about these Bible "errors" and what was taught in Seminary and is known by the scholars in how the Bible includes forged books, according to some scholars, and a practice that was supposedly common in the early Christian era. My confidence was shaken. I went back to studying other men in history who had faith in the Bible and went on in their lives to have greater power and unity with Jesus from their closeness with the Word of God that they believed the Bible represented. Origen is a Church Father and is widely regarded as one of the most important Christian theologians of all time. Yet he was posthumously condemned as a heretic by a council at Alexandria in the year 400. In 543, the emperor Justinian I again condemned him as a heretic and ordered all his writings to be burned. He had written roughly 2000 treatises, with most of his writings destroyed. His teachings on the per-existence of souls were rejected by the Church. He was tortured for his faith and died a few years later of his injuries. Origen is often seen as the first major Christian theologian. He studied extensively the Old Testament. He also studied the entire New Testament, but especially the epistles of the apostle Paul and the Gospel of John, the writings which Origen regarded as the most important and authoritative. Origen wrote two works of commentary on the book of Genesis, the actual commentary itself and Scholia, in which he examined the theological implications of the concept of the image of God, the psychology of the History of the Patriarchs and not least philological problems of the Greek Bible translation. Only fragments of those works remain. Eusebius tells us that Origen spent the greater part of his nights in studying the Holy Scriptures. It was the center of his life, the well-spring of his personal religious life and the instrument for striving after perfection. Origen states that the whole Scriptures "breathe the Spirit of fullness, and there is nothing, whether in the Law or in the Prophets, in the Evangelists or in the Apostles, which does not descend from the fullness of the Divine Majesty. Even at the present time the words of fullness speak in the Holy Scriptures to those who have eyes to see the mysteries of heaven, and ears to hear the voice of God." In spite of the decrees against Origen, he remained a central figure of Christian theology throughout the first millennium. He continued to be revered as the founder of Biblical exegesis and anyone in the first millennium who took the interpretation of the scriptures seriously would have been knowledgeable of Origen's teachings. Origen's belief in the Bible was obviously important to him. He was tortured for his faith. He was highly intelligent and would have been aware of same things scholars have made note of today. Did that deter him from his faith? Absolutely not. He set his theory that there are three various meanings in Scriptures: the literal, the moral and spiritual meanings. Those who take only the literal meaning can suffer much believing or disbelieving in an angry, fickle God or rejecting God entirely. Much in the same vane, Emanuel Swedenborg (1688–1772) left us a legacy of Bible interpretations and a deep understanding of the hidden meaning of the Bible. In the Secrets of Heaven Swedenborg describes the inner meaning of the creation story, the fall of Adam and Eve, and Noah’s deliverance from the flood. He understands the days of creation as an image of the stages of human spiritual transformation; Adam and Eve as symbols for the earliest ancient “church,” a people who eventually fell away from God. Swedenborg (see references for works by Swedenborg) was a Swedish scientist, Christian mystic, philosopher, and theologian who wrote voluminously in interpreting the Scriptures as the immediate word of God. After his first vision of Christ at 57 years of age he abruptly changed his career and life purpose, devoting his enormous energy to interpreting the Bible and to relating what he had seen and heard in the world of spirits and angels. From 1749 to 1771 he wrote some 30 volumes, all of them in Latin and the major part anonymously. Swedenborg asserted that his entry into the field of theological study was in response to a divine vision and call; that his spiritual senses were opened so that he might be in the spiritual world as consciously as in the material world; and that the long series of exegetical and theological works that he wrote constituted a revelation from God for a new age of truth and reason in religion. Edgar Cayce read the Bible through once every year so that by the time he was in his teens he had read it through many times. He wanted to become a minister but instead became a healer. He became known as the "sleeping prophet" for diagnosing people's illness while under a self-induced sleep. He remained a holy man his entire life. Pastor Johann Christoph Blumhardt (see references) had read through the Bible twice by the time he was eleven. He, too, wanted to become a pastor, and did, but not just any ordinary pastor. Pastor Blumhardt's love for the Bible and Jesus was a daily affair his entire life. By the end of his lifetime he was renowned for his extraordinary preaching and amazing healing powers given to him from the Holy Spirit and Jesus. He was highly intelligent and never found fault with the Bible. So trusting of the Bible was Blumhardt that he thought one of his early university teachers Ferdinand Christian Baur (1792-1860) was not of his taste for having biblical criticism, like that of others he witnessed, for he sensed in it a half-conscious tendency to cast aspersions on the Bible. He did not in his own heart expect that kind of scholarship would bear much fruit. Blumhardt was an extraordinary man of God and faith. There are several factors that sometimes make the Bible hard to understand. First, there is a time and culture difference, obviously, from our world today. Depending on what part of the Bible you are studying, there is between 3400 and 1900 years between when the Bible was written and us today. The culture at the time when the Bible was written was very different from most of the cultures that exist today. The Middle East provided the setting for the events recorded, specifically, Mesopotamia, Egypt, and Syria-Palestine constitute the core of “the Bible world.” All of this area that lies along the Tigres and Euphrates rivers in Mesopotamia up to the Persian Gulf, and the tillable land bordering the Syrian desert, plus the coastal land of the eastern Mediterranean. The southwestern tip of this “crescent” extends through Palestine, and arable land continues all the way into the Nile valley in Egypt. Here was the cradle of civilization and the scene of God's memorable activities in time and history as recorded in the OT. Under the Old Babylonian Empire, legal, cultural, and social developments touched the Israelites. Most important was King Hammurabi's Law Code (1792-1750 b.c. ), which can be compared with great benefit to Moses' laws given in the OT. But it is the later Neo-Babylonian Empire that affects Israel's history and thinking most profoundly. Merodach-Baladan II (721-710; 703 b.c.) sent envoys to Jerusalem, who were received by Hezekiah (Isa 39). Subsequently, Isaiah issued a prophecy of doom and exile and punishment for this unwise action by Hezekiah (2Ki 20; Isa 39). The Babylonian king, Nebuchadnezzar II (605-562 b.c. ), captured Jerusalem and exiled Judah in 586/7 b.c., exiling even the remnant of Israel later (2 Ki 24:10-25:21). Babylon suffers the infamy of being assigned the greatest oracles of doom given by Jeremiah (Jer 50-51), and became a symbol of those who oppose God and his people (Rev 18). Egypt was known as “the gift of the Nile” and played a large part in the formative period of Israel's history. Northern and southern Egypt were united early in the third millennium b.c. and great pharaohs ruled the land. The Egyptian civilization developed to a high level by the middle of the third millennium and continued largely unchanged for three thousand years. Only in 331 b.c. did Alexander the Great change the face of ancient Egypt, in fact the face of the Middle East. The early pharaohs especially were believed to be gods or divine beings in human form. The culture was relatively stable, and the status quo was constantly sought in Egypt. Times of great upheaval are recorded, however. The ancient Hebrews and the later Israelites had close contact with this civilization. Israel was held captive by Egypt for 400 years during the New Kingdom (c. 1550-1100 b.c. ), until, under Moses, the Lord liberated them. 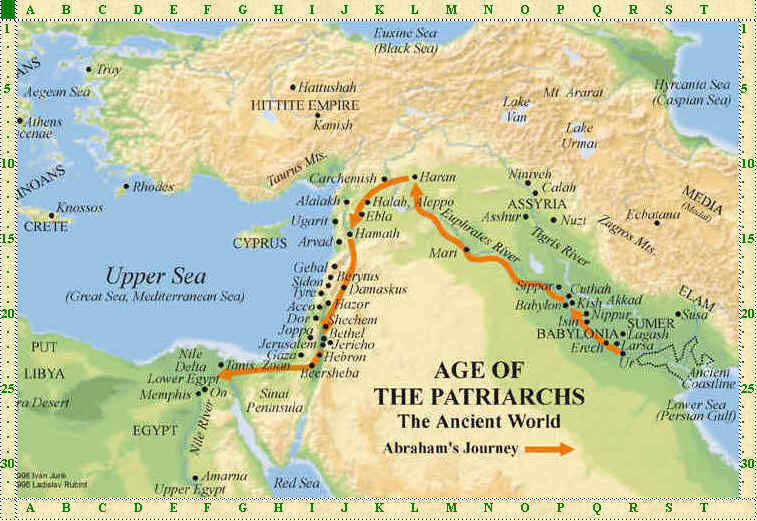 The Exodus took place during the second half of the second millennium b.c. under Pharaoh Rameses II (c. 1290 b.c.). After Israel's deliverance from Egypt, the kingdom played a declining part in Israel's history and development, but was always there—often as a temptation to Israel to trust in the horses of Egypt for safety and security rather than the Lord (Isa 21:1-3). These centuries of Israelite history were not lived out in a vacuum. Rather, Israel was often plunged into life and death struggles among themselves and against these pagan powers, which God used more than once to punish his apostate people (Isa 1:2). But neighboring nations overstepped their roles and received judgment at the hands of God as well. This is the most difficult to understand in today's culture and vision of reality. Second, the Bible also contains different types of literature. The Bible contains history, law, poetry, songs, wisdom literature, prophecy, personal letters, and apocalyptic literature. Historical literature must be interpreted differently from wisdom literature. Poetry cannot be understood in the same way as apocalyptic writings. A personal letter, while having meaning for us today, may not have the exact application to us as it did to the person(s) to whom it was written. Recognizing the fact that the Bible contains different genres is key in avoiding confusion and misunderstanding. It's also important to study Bible passages and stories within their context. Taking verses out of context leads to all kinds of error and misunderstanding. Understanding context begins with four principles: literal meaning (what it says), historical setting (the events of the story, to whom is it addressed, and how it was understood at that time), grammar (the immediate sentence and paragraph within which a word or phrase is found) and synthesis (comparing it with other parts of Scripture for a fuller meaning). Context is crucial to biblical exegesis in that it is one of its most important fundamentals. After we account for the literal, historical, and grammatical nature of a passage, we must then focus on the outline and structure of the book, then the chapter, then the paragraph. All of these things refer to "context. The Internet today is replete with atheists views that Scripture is a rehashing of past Greek and Sumerian mythology, where Asclepius, Dionysus, Osiris and even Krishna are paralleled with the life of Jesus. A little research on each of these mythologies will not bear any similarities to Jesus' birth, life and death. Krishna is the most revered of the Hindu Gods. He is described as the Supreme Being and creator of the universe. He came from one plucked black hair of Vishnu which hair was planted in Vasudeva's womb. As a young god he enticed the gopis, wives and daughters of the herdsmen with his flute to dance under the moonlight with him. Later he fought demons and evil forces killing one after the other until supposedly ridding the earth of much of its evil. Krishna had eight principle wives and 16,000 junior wives. After the last major war he was accidentally mistaken by a hunter to be a deer was was killed with an arrow. It's easy to misunderstand the Bible because we can't fully understand it with our minds, it takes faith and the Holy Spirit. The account of creation in Genesis may mean to some that God created the world in six 24-hour days. It might also be metaphoric, meaning that the "days" of creation represented a much longer period of time-as 2 Peter 3:8 says, "With the Lord a day is like a thousand years". The Bible is the written revelation of God's redemptive work in history. Reading the Bible gives us knowledge, inspiration, and hope. It increases our faith and helps us understand the nature of God and His Son, Jesus. It tells us about the work of the Holy Spirit in the lives of real people. It is up to us to approach the Bible in faith looking to find God and the real Jesus Christ, not the image of what we think they are.